So weve reached the halfway point. Im taking advantage of the free wifi here at the Castle to quickly update you. 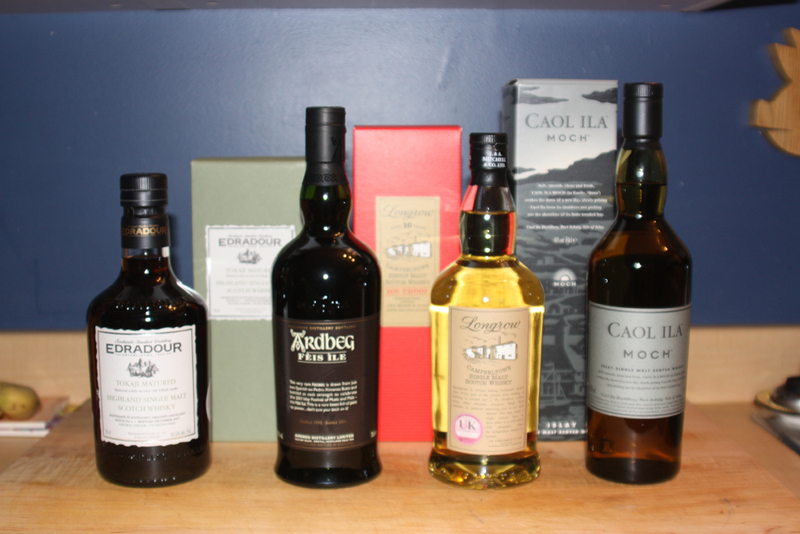 I bought myself two bottles of whisky at this point: the Ardbeg Festival edition, only 1,000 of them bottled and the Caol Ila Moch edition, only available to the friends of Malt and at the distillery. The distilleries tours are awesome. How often can I say that I sat in Lagavulins warehouse, drinking whisky straight from the hogs head? Recently I was telling someone I was going to Scotland, and that I was debating bringing my tripod or not. Here’s the conversation we had. Me: I’m going to Scotland soon, and I’m still debating bringing my tripod or not. What would you do? Her: Well, I guess it depends how the roads are in Scotland. Me: ??????????? (O.o <– that’s the face I made) Why are the roads a factor? Her: Well, where I come from the roads are really bumpy, so sometimes we’d get stuck while driving around in our car. At that point, I’m thinking maybe she uses a tripod to jack the car out of some potholes. That doesn’t make sense right? Me: (After more ?????? and O.o) How would that change anything versus bringing a tripod or not?